The Mizo Sniper has scored just a single goal this season. 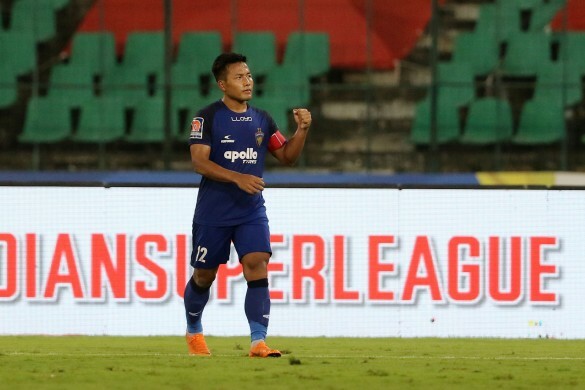 It has so far been a season to forget for Chennaiyin FC and their star forward Jeje Lalpheklua in the Hero Indian Super League. The champions are no longer defending their title which they won so majestically last season, but in defeating Bengaluru FC, they may have finally found something to cheer. This was only the second win for Chennaiyin FC in 15 matches. But this was against their fierce rivals, who they defeated in the final last year to emerge champions. More importantly, Jeje was able to break his goal-scoring duck as he fired the hosts into an early lead at Chennai. It wasn’t the prettiest of goals with Nishu Kumar’s fluffed clearance providing Jeje with the opportunity to get his shot away. Even then, Bengaluru goalkeeper Gurpreet Singh Sandhu should have done better with his attempted save with the ball slipping through his gloves and into the net. It was perhaps just the deserved slice of luck that both Jeje and Chennaiyin needed after it had eluded them all season. "I've been working for so long and finally I got a goal. I'd like to thank all the fans for supporting me. The goal and the win were deserved. We keep fighting every day and push ourselves every time in training," said Jeje, who became the first Indian player to score in all five seasons of the ISL. It is no co-incidence that Jeje’s goal-scoring drought has paralleled Chennaiyin’s dismal title defence. The ‘Mizo Sniper’ had been pivotal in leading the title charge for John Gregory’s side last season with nine goals and one assist in 20 appearances. However, nothing seemed to be going right for Jeje this season as Chennaiyin plunged to new lows. When the goals dry up from your primary goal-outlet, teams will more often than not struggle in the attacking third and that has been the case for Chennaiyin all season with the club’s attacking statistics amongst the worst in the league. Going through a lean patch is not uncommon for strikers but Jeje’s extended spell without a goal was in danger of encompassing the complete season. Each passing game without a goal was taking a toll with a major loss in confidence in his own abilities evident. 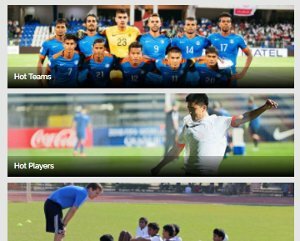 The Mizoram-born forward has been amongst the most prolific Indian goal-scorer in the league’s history with his combined goal tally standing at 22 before the win against Bengaluru. Jeje’s conversion rate had hovered around the 27 per cent mark in his previous two seasons in the league but it has come down to an alarming 12 per cent in the current campaign. That drop in conversion is substantial and it is no wonder that the striker had become bereft of confidence while Chennaiyin went into free fall. Now, with his 23rd ISL goal, Jeje might just be rediscovering his scoring touch. 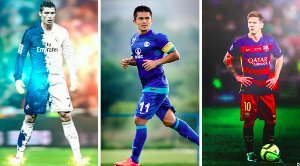 It follows on from his sumptuous goal against Thailand in India’s historic win in the Asian Cup 2019 and these two strikes could go a long way in lifting the spirits and confidence of the Chennaiyin star. Who knows, there still might be some light at the end of a long and dark tunnel for Jeje and Chennaiyin. With their tails up once again, Chennaiyin and Jeje could still salvage the season with the AFC Cup and Hero Super Cup to come.